4 3/4" 5 1/2" 7 1/2"
The Diamond J Western Holster is border stamped with, you guessed it a very nice "diamond" pattern! 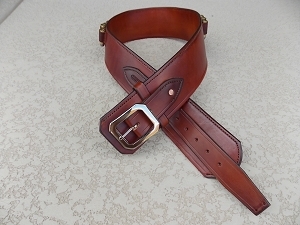 This double loop holster is lined and is shown in chestnut leather. 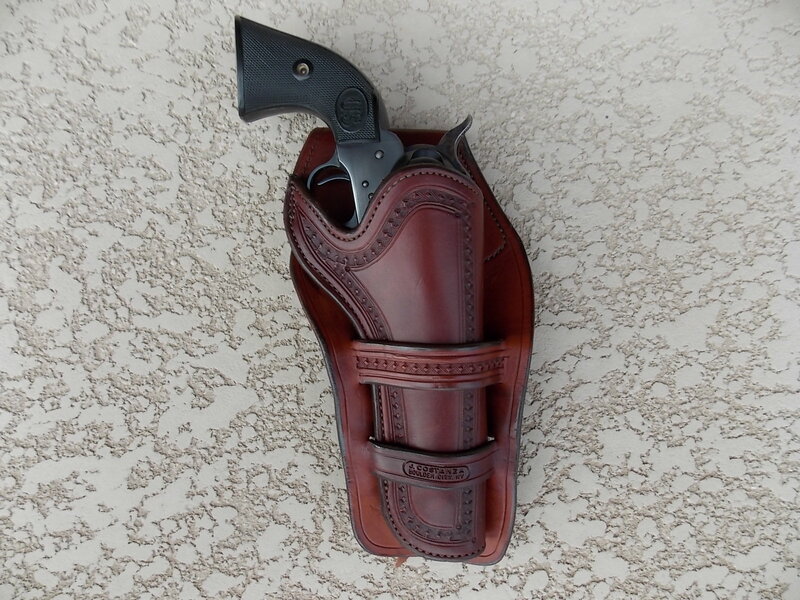 We make this holster to fit a variety of Colts and clones, New Vaquero and Old Vaqueros. 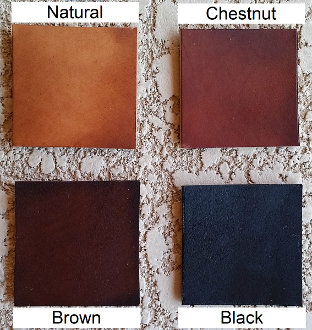 We don't show a cartridge belt to match this but we would be happy to make one for you or you can match it up with one of our plain cartridge belts.